3e ongewijzigde druk. Nu beide volumes in één band. Over the last few decades, prison populations in European countries have grown and their profiles have changed. At this moment there are more than 100.000 foreign prisoners in European countries. Their numbers vary greatly per country, but the average percentage of foreigners in the total European prison population is over 20%. 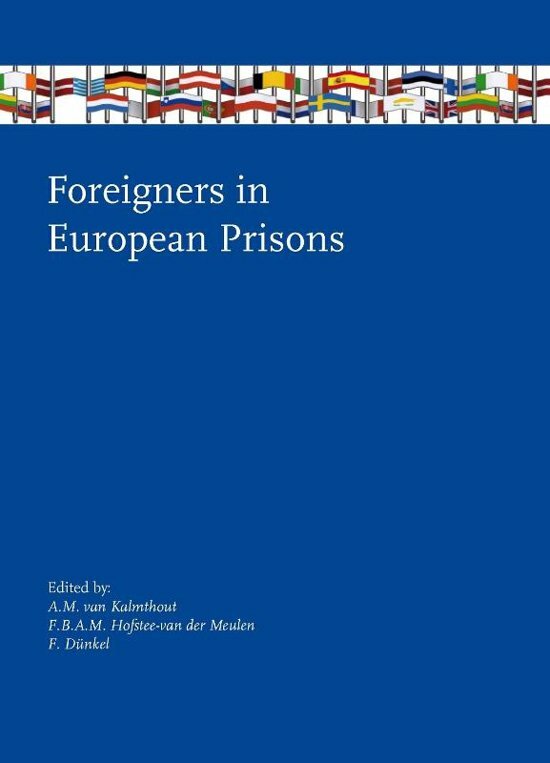 Why are foreigners over-represented in European prison populations? Who are they and on what grounds are they held in detention? Are foreign prisoners more vulnerable due to language difficulties, cultural differences and their distance from relatives? Are they being socially excluded? Is their treatment and legal position different from other prisoners? And how are national prison systems and other authorities addressing this issue? distinction is made between foreigners who are detained for committing a crime or are suspected of one and foreigners whose deprivation of liberty is based on migration law. This extensive study is done within the framework of the EU programme ''Social Exclusion''. The book contains country reports of 25 EU member states and 6 reports of organizations which contributed to the research. The first chapter of the book presents a comparative overview with conclusions and recommendations. At the end, a detailed bibliography will be given which includes the relevant websites and legal documents. and Degrading Treatment (CPT) of the Council of Europe. Femke Hofstee-van der Meulen is European Director of Altus Global Alliance and is leading the NGO 'Prison Watch'. Frieder Dünkel is Professor and Chair of Criminology in the Faculty of Law at the Ernst-Moritz-Arndt University in Greifswald in Germany.